Are you looking for resourceful ways to invest in your employees to keep them engaged? Do you feel that your employees are the key to championing your brand but are unsure how to coach them to be an advocate? Search, no more! Internal Branding, Employee Engagement & Culture Change Strategies | Los Angeles interactive workshops will be held on August 8th and are led by leading consultant agencies. These hands-on sessions will tackle specific topics that will prepare you for the two day conference. Workshop B: Measuring Employee Experience: A Metrics Toolset For Communications And Employee Engagement, Freed Employee Experience and Sinickas Communications, Inc..
Digging the small group setting at #ALI_hcmktg. EZ to learn from each other and commiserate together! View the Internal Branding, Employee Engagement & Culture Change Strategies schedule & directory. Our discounted room rate has expired. If you need a sleeping room, please call the Sheraton directly and ask for their best rate. Feel free to contact maryrose@aliconferences.com or call us at 773-695-9400 x0 if you would like any assistance. The Sheraton Grand Los Angeles provides easy access to all that L.A. has to offer. 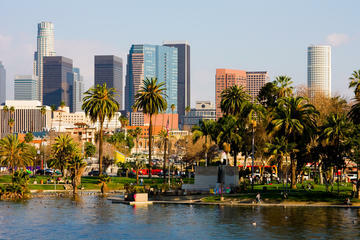 Centrally located in downtown L.A., there are numerous points of interest within easy walking distance or a short ride. This contemporary business hotel is attached to the Macy’s Plaza and is minutes from museums, theater, sports, entertainment and dining attractions. Check out the hotel’s list of top Los Angeles attractions. Certificate of Completion for CEU’s – you will receive a Certificate of Completion to show proof of attendance when submitting CEUs to fulfill various CEU requirements. Please contact us if you have any special requirements. A toolkit of tactics & strategies that work: Return to the office with actionable tools, re-energized & inspired to enhance your existing internal branding strategy, employee engagement & culture strategy. Have Your Questions Answered & Ideas Heard: This one track, intimate conference is designed for attendees to have their most pressing challenges discussed while sharing strategies and ideas they have implemented. Continue to network even after you leave: Stay connected with the contacts you’ve made throughout the three days at the conference. You’ll leave with an attendee contact list and access to the conference presentations to reference when implementing your golden nuggets you took away from the conference. Hear from over 15 organizations: We’ve designed the conference to bring examples from different industries and job levels– hear from 15+ different internal communication professionals who have recently tackled internal branding & employee engagement projects. Learn how to build an internal branding strategy that inspires your people to become engaged employee brand ambassadors, strengthen culture and creates positive business results. Certificate of Completion – Advanced Learning Institute provides a Certificate of Completion for attendees to show proof of attendance when submitting CEUs to fulfill SSCP, CISSP, ISSEP, ISSMP, ISSAP, CSSLP, CAP, etc. certification requirements. Maggie Zakrzewski, Conference Producer by email or call (773) 695 – 9400 x222 for more information. internal communicator, would like to learn more about. Terrific #InternalComms conference with #ALI_IntBranding this week in #NYC. Thanks for the well-prepared speakers and great content. Here is a sample justification letter to help you with your request. Attend to learn the power of internal communications to deliver a consistend brand story that strengthens culture and engages employees to become brand ambassadors.